Zach James is the Founder of Alphabet Consulting. He has nearly two decades of multi-industry communications consulting experience. Prior to setting up Alphabet, Zach was President of the Text 100 Group (a global top 20 PR consultancy) in India, and also a member of the senior leadership team for Text 100 APAC. During his tenure, Text 100 India was recognized as a Top 20 place to work by Hewitt. Having consulted several major multi-national corporations including Microsoft, Nokia, BMW, Cisco, American Express and British Telecom among others, Zach has a deep understanding of organizational and communication priorities of large global organizations. 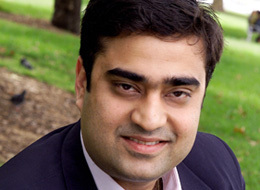 Rishi Seth is Partner at Alphabet Consulting. He brings 15 years of diverse work experience ranging from political and corporate affairs to consumer and technology Public Relations. Prior to co-founding Six Degrees, he headed the India operations of Text 100, a top 20 global PR consultancy, as its Managing Director. 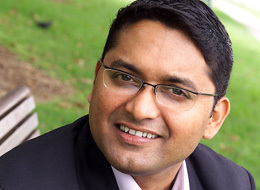 He started his career in rural marketing, and has also worked at Genesis and Perfect Relations. 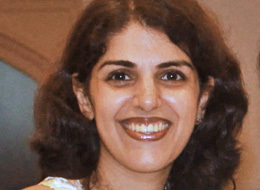 Pinky Vaswani is a Senior Consultant at Alphabet Consulting. With more than 12 years of experience in the PR industry, Pinky has considerable experience in working with leading brands and actively supported clients like Swatch Group, Rediff.com during her stint at JWT India, and Cisco, Gartner, Emerson, BenQ and SAS at Text 100 India. Through her near six year tenure with Text 100, Pinky honed her writing skills and was a key member of the very first program the agency conducted in Internal Communications. 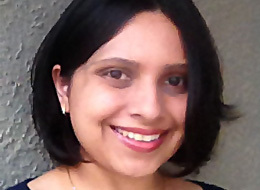 Devyani Haldipur is a Senior Consultant at Alphabet Consulting. She has over 11 years of experience in communications and PR. Prior to Alphabet, she worked with Text 100 India, where she managed and led the corporate PR mandates for companies like Cisco, Freescale Semiconductor and Cadence Design Systems. At Alphabet, she works with brands like ADB Airfield Solutions, EMC, Dalmia Bharat Group, Nokia Solutions Networks, Avantha Group and Volvo in India to support their content development and internal communications needs.